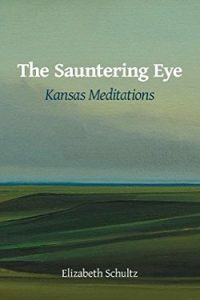 I've written to share my admiration for environmental and social justice leaders before, as well as to celebrate local authors; however, I haven't yet shined the spotlight on Lawrence-based scholar, poet and essayist Elizabeth (Beth) Schultz. Her writing shares connections to the natural world in thoughtful prose and poetry and her influential work to further environmental conservation and human rights is inspiring. 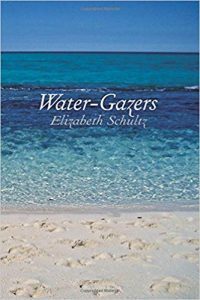 I'm planning an event, Kansas River Celebration on Saturday, April 6, that is partially modeled from the author readings Elizabeth Schultz has organized at previous Earth Day events. Naturally, I wanted to ask Beth several questions; I’m grateful for her responses, below. I’m also excited to have her participation in the upcoming event! SB: Please tell me how these Earth Day celebrations started? ES: The idea emerged in the Oread Friends Meeting. On our first endeavor, which took place in Buford Watson Park, we met in their gazebo, and we went from 8:00 AM to 8:00 PM with individuals reading for 10 minutes in sequence through these 24 hours. This did seem a little long, and in future years, we shortened the time frame and decided to join with Earth Day events. However, we always began early in the morning, especially given Thoreau’s conviction that morning is the best time to appreciate nature. A tent seemed a natural way to bring people together in an outdoor setting. Encouraging people to express themselves in whatever ways suited them—acting, singing, reading, performing, cooking, dancing—also seemed the best way to bring a diversity of people into the program. Children do love to perform, and there are many hidden poets in our community. SB: What is one of your favorite projects funded by the Elizabeth Schultz Environmental Fund (ESEF)? ES: There are many! But one of the first ESEF projects, which continues to this day, involves solar paneling at Southwest Middle School. The ESEF funded not only the paneling on the roof of the school, but also the kiosk inside in the center of the school—at the busiest place in the school, one where students pass back and forth regularly as they change classes. Recorded daily and all day on the kiosk’s graph, visible to all who pass by, is the definitive difference made, minute-by-minute, by the solar paneling on the school’s roof. Another wonderful project involved Lawrence Arts Center students learning how to make beautiful and useful canoes from willow branches and collected, recyclable plastic bags. These young people also learned how to paddle and how to navigate the Kaw River when the plastic-bag canoes were completed, and they were able to put them in the river and go for a ride. SB: I am compelled to express my heartfelt gratitude for your leadership in environmental advocacy and many more amazing community contributions! Your steadfast support for women’s rights began as early as 1972; as a member of the group known as the February Sisters you successfully advocated for women's equality at KU by occupying a campus building on February 4, 1972. 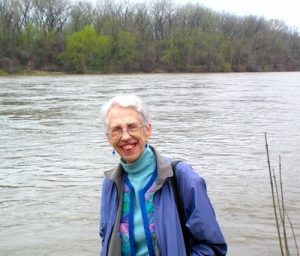 As Professor Emerita after 34-years of teaching literature, many teaching awards, your ongoing community work and creative writing helps to deeply connect readers to the natural world. Who do you admire? Who are your heroines and heroes? ES: My heroines and heroes are all those who have attempted or who do attempt to see the wonder of the web of life in all its intricacy and delicacy and toughness. This would include Rachel Carson and, recently, Robin Kimmerer. Politically, socially, and poetically, this would be Toni Morrison. Mythologically, my heroine would be the Spider Grandmother. SB: As a renowned Herman Melville scholar, I'm curious if you discovered anything new from the recent mini-symposium on Melville & Race? ES: O Yes! Melville’s works continue to unfold, to reveal, and to inspire. I was inspired at the mini-Melville symposium this past week to consider a new genre: “The Immigration Novel.” This occurred as a result of the meaningful presentation by Prof. Robert Levine, on Melville’s 4th novel, Redburnopens a new window, in which Melville describes the appalling shipboard conditions for Irish immigrants in the mid-nineteenth century. 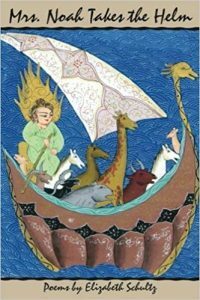 I also realized reflecting on works discussed by other symposium members that, given Melville’s interest in the diversity of the crew members’ background in Moby Dickopens a new window, this novel, too, implicitly takes on the issue of immigration. SB: Besides Melville, who are some of your other favorite authors? ES: They are legion. But always at the center of my soul are Melville’s contemporaries: Walt Whitman, Emily Dickinson, and Henry David Thoreau in the US; George Eliot and Charles Dickens in England. These writers go on teaching me. SB: What books are on you night stand? ES: I have just finished reading Tara Westover’s Educatedopens a new window, which I found stunning in both senses of that word: this account of a young contemporary woman’s determination to free herself and her mind from the ideological bonds of her family is beautifully written and inspiring, but it is also shocking and deeply disturbing. Paula Cocozza’s How to Be Human opens a new windowI have also just read: it is a thoughtful consideration of a young woman’s discovery of her animal self. My goal for February was to read Pushkin’s Eugene Oneginopens a new window, which I did with wonder. Now I must try to understand this Russian masterpiece. I feel that this year I must also tackle Darwin! Incidentally, a good friend and I are trying to read novels out loud on a regular basis: we meet every other Tuesday night, and are now in the process of finishing Dickens’ Our Mutual Friendopens a new window; it took us all of last year to read Eliot’s Middlemarchopens a new window, but we loved sharing it out loud, in this nineteenth-century way. 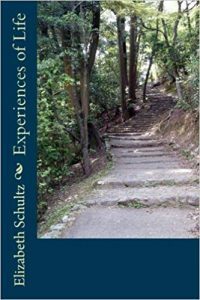 Note: Enjoy writing by Elizabeth Schultz with my notes of why you should read each book in this reading listopens a new window. SB: What is the theme or focus in your most recent writing? ES: In the poetry that I am always writing, I continue to attempt to understand myself in relation to what is happening in my Lawrence backyard among the birds, the animals, and the diversity of plants. SB: Are you working on another book? ES: Something may emerge this spring, but it is in the mists. SB: What question do you wish someone would ask you? And would you share your answer? ES: This has been a challenging, but very meaningful list of questions! And thank you for this last question. Perhaps someone here should ask the desert island question: Which book would you take with you if you were abandoned on that island or in a jail cell? My answer: I would take my college textbook, with my marginal notes, of the collected plays of Shakespeare and, if possible, a dictionary. Shakespeare remains the most profound of all writers in English, I believe, and, as such, always opens up to us in new and wondrous ways. His works are revelatory for all people in all places and times, I believe. Amongst American writers, I believe Melville, Whitman, Dickinson, and Morrison share this capacity. I hope you'll join Elizabeth Schultz and all the authors featured at the Kansas River Celebration! Also check out their books from the library or visit the Raven Book Store to purchase books. In the meantime, I'm going to see how I can match the energy of Beth's famed Earth Day gatherings! 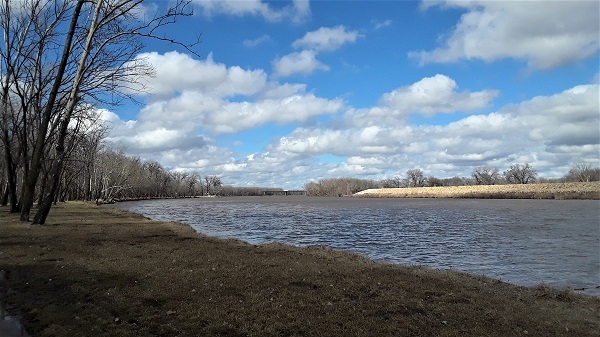 Learn more about the Kansas River Celebration here. Learn more about the Elizabeth Schultz Environmental Fund hereopens a new window.